That’s probably one of the biggest benefits of cloud computing. You can easily scale up your cloud computing capacity based on your preferences anytime, anywhere. With cloud technology, you can react to your needs as they grow and use what’s necessary to handle your growth and improve your efficiency. Cloud computing technology takes a huge load off your shoulders. You don’t need to worry about anything. If you want to grow your cloud computing capacity, you can do so quite easily without having to go through any complex process. Everything is super simple and easy as anyone with low tech know-how can comprehend the procedure. When you have trouble deploying things, you can contact their support staff to get the best advice. They respond to your queries quite patiently and quickly. Retailers can get the advantage of efficient automation, ease of use, maintenance, easy deployment, and support services. Other advantages include but are not limited to – fast updates without any downtime, application enhancements, seamless database migration, and real time support services. In this online world, there’s no lack of fraudsters and hackers who’re always ready to steal your important business information. 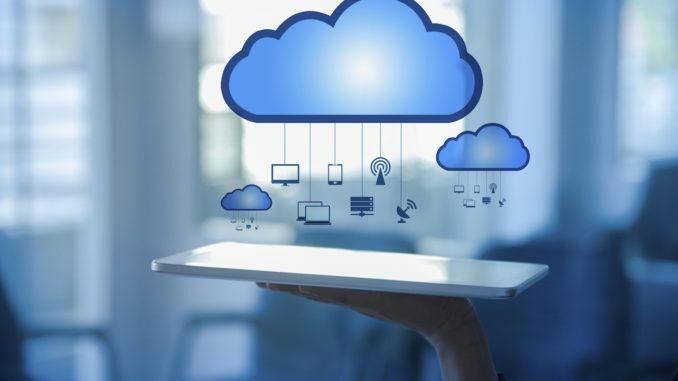 Cloud computing not only improves your business, but it also provides you with a solid security to protect your business against viruses, malware and hackers. When you’re using cloud computing, you can rest assured that all of your data is safe and secure. Cloud security experts always stay up-to-date on the latest privacy and security threats to provide you with top-of-the-line security services. Moving your IT infrastructure and data to the robust and fastest cloud services makes everything transparent and smooth for organizations. Cloud computing platform is capable of adapting to the latest requirements and changes. Tapping into cloud computing’s scalability and elasticity ensures improved performance. The cloud platform can handle simultaneous requests from lots of different users and scale very quickly to facilitate your compelling needs. Cloud computing technology is quite affordable in comparison to other typical processes. Since there’s no need to hire technical staff and workers, you can save a lot of money with cloud technology. How you look at these advantages of benefits of moving your business to data to cloud computing? Have something important to say about cloud computing technology? Please feel free and don’t hesitate to offer your valuable feedback in the comment box below. We greatly appreciate your feedback.